The Entrepreneur Navigation System - Keating & Associates, Inc. Manage your personal and business pursuits more effectively. The Entrepreneur Navigation System™ (ENS) is Keating & Associates’ proprietary process, designed to help business owners manage their personal and business pursuits more effectively. ENS can facilitate business growth while allowing you to realize your true potential. enhance communication with the people who are important to you. We begin by introducing you to our services, our capabilities and who we are as a company. We also use this time to get to know you and your business, your goals and concerns and to ask the “three-year question” — where do you want to be, personally and professionally in three years? Based on your answers, our team will help you establish your “wish list” of important items to address for the near and long term. 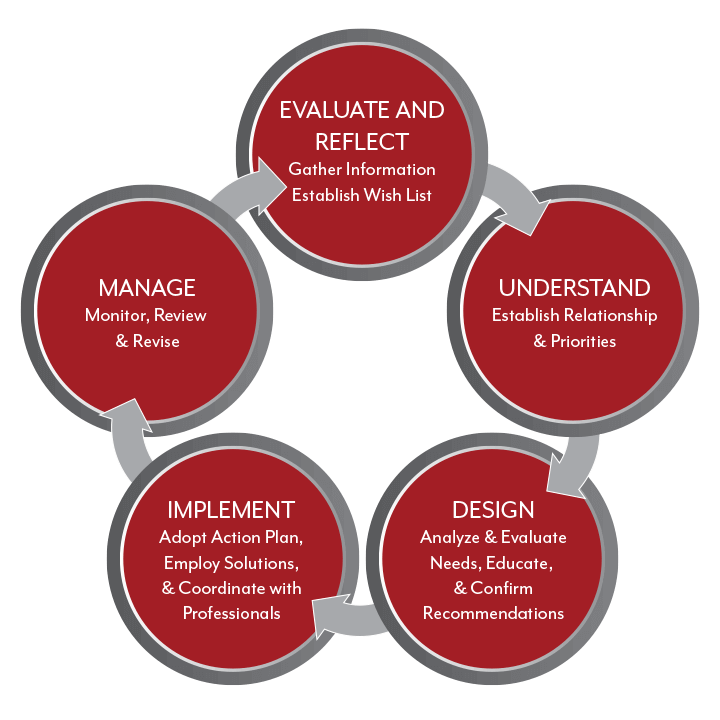 Next, we review your “wish list” together, in detail, and begin determining which items should take precedence and which strategies are most suited to the needs of your business. Once we’ve defined what’s most important to you and the methods you’re comfortable with, our team will create an action plan, or “priority list” to guide the planning process. Once your goals are outlined and your priorities established, we begin analyzing each of your business’s needs in light of your concerns and goals. Based on our assessments, we’ll make business growth recommendations – including specific tasks and investments – and present our formal financial plan for your approval. After we’ve made any necessary adjustments and received your approval, it’s time to put your plan into action, employing the solutions we’ve discussed and coordinating with your other professional advisors – including, for example, your property and casualty agent. In this way, we ensure that your plan proceeds smoothly with minimal effort on your part. Once we implement your business growth plan, we carefully track its progress, communicating with you often to ensure that everyone is on the same page. Should your goals or the direction of your business change at any point, we’ll quickly revamp your lists and revise accordingly. Entrepreneur Navigation System offered by Keating & Associates, Inc. and is not a service offered by Raymond James Financial Services.